There’s always strength in numbers, and if a dozen beers on tap is great, then 100 beers on tap is... well, also really great. San Diego’s reputation as one of the country’s preeminent beer brewing cities is beyond reproach, with some 200 breweries and brewpubs calling this town home -- but what about beer bars? It’s fairly easy to find a brewery on damn near any street corner in the city, but where should you look if you’re hoping for a near-encyclopedic tap list or an ultra-rare varietal from a Belgian abbey? We’ve got your answers right here: Check out any of the following bars throughout America’s Finest City for truly a sublime beer-drinking experience. Encinitas Ale House jokingly calls itself “locally world famous," which is fitting -- if you ask around North County where to find the best beer list, it likely won’t be long until Ale House is suggested. The menu features 350+ bottles of every type of beer you could want, in addition to 32 beers on tap, so you can come here every day for a year and never drink the same beer twice. 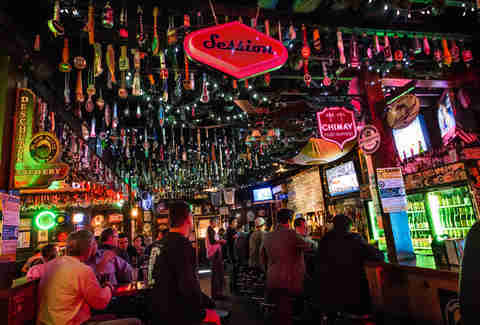 The bar also offers an “80 beers in 80 days club” which raffles paid trips around the world for anyone who can guzzle 80 beers in 80 days at the bar. It also has some of the best burgers in the city; what else could you want? 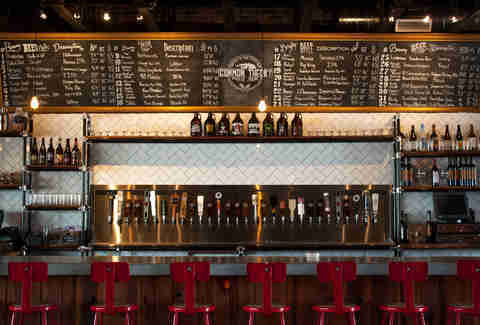 TapRoom is PB’s take on a craft beer bar. 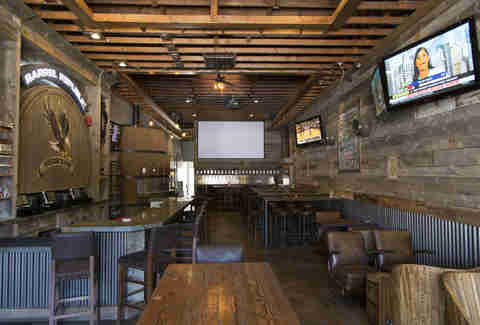 Laidback and located just five blocks from the beach, TapRoom has more than 40 taps and more than 80 beer bottles, an entire staff of cicerone-certified beer servers and killer wings, it’s a place you can start your night off with a few craft beers before turning it up a notch on Garnet. Blind Lady has been named to Draft Magazine’s “100 Best Beer Bars in America” list every year since it opened its doors, and is frequently referred to as having the best -- and most original -- pizzas in the city. They have a great tap list, but what sets them apart as a beer bar is their devotion to maintaining the integrity of the beer serving process. From an almost neurotic dedication to cleaning their beer lines to their direct draw system to making sure they have the perfect glasses for each pour, it’s a pure beer drinking experience. 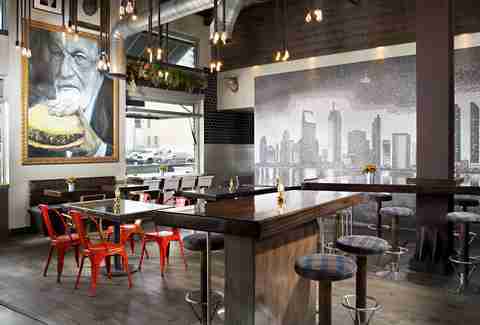 Hamiltons has had a beer and wine license longer than any other location in San Diego. With over 75 years of history, Hamiltons has perfected the art of a “beer bar”: slightly dive-y, very relaxed, and packed with shuffleboard and pool tables. It’s as comfortable as an old sweatshirt, inviting to all, and serves up a mean grilled cheese. In short, it’s paradise. 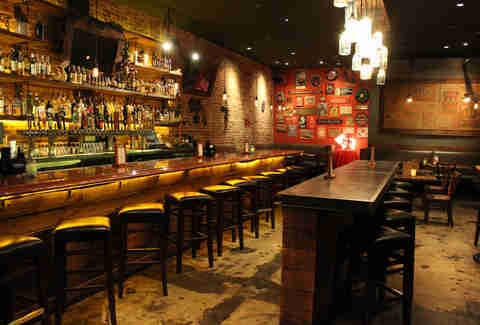 If you’re looking for a craft beer bar with a hipster vibe and an attached speakeasy to boot, Neighborhood is your bet. With 40 beers on tap and some of the cooler bar foods you’ll ever come across (chorizo corn dogs are as good as they sound), Neighborhood is a great place to enjoy a beer and some food, and when you’re looking for something stronger, find the “hidden” entrance to the Noble Experiment speakeasy by the bathrooms. 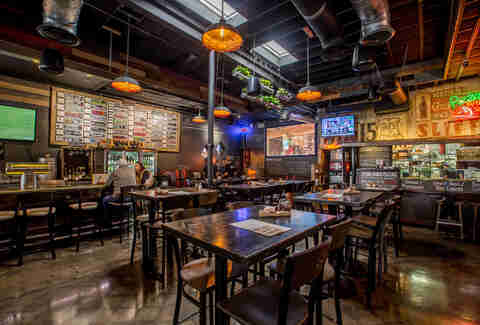 Formerly The Brew Project, the Project Bar and Grill has become a Hillcrest staple by dedicating its rotating tap list of 30 beers to only serving local brews. The bar itself is a renovated historic house, which provides an excellent ambiance and makes for a great viewing experience for sports games. 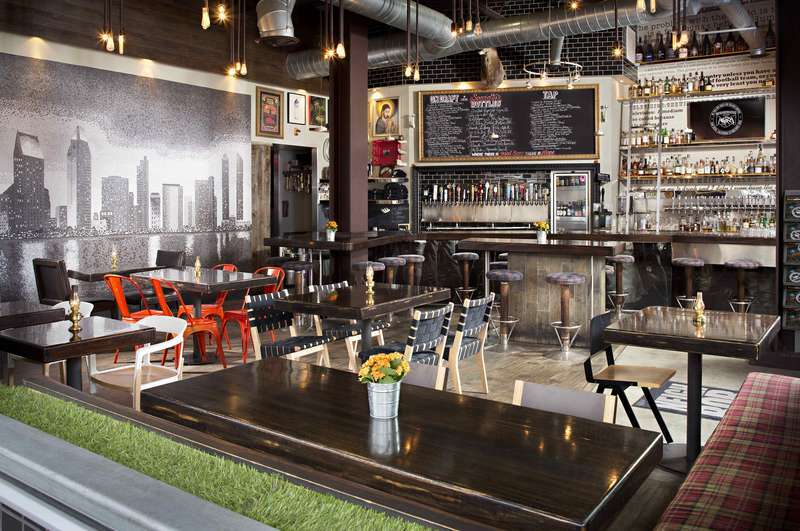 Barrel Republic is a gamechanger -- the nation’s first self-service craft beer bar. With 44 electronic taps you can enable and pour yourself via an RFID bracelet, and beer pricing per ounce so you can try as many as you’d like without going broke, it’s a beer drinking experience unlike any other. The Hopping Pig's 32 draft beer taps and the food in the bar are globally inspired. As the name hints at, The Hopping Pig does pork spectacularly well (the hopping pig burger is otherworldly) and the beer list will likely include a handful of rarities you won’t find in most other beer bars. 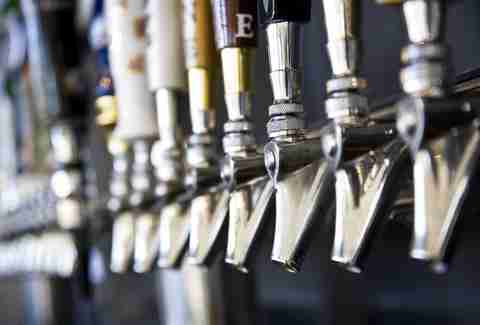 Common Theory takes the “rotating” in rotating tap list extremely seriously. They have 30-34 taps, and while certain lines are dedicated to specific styles of beer, there’s no guarantee that any beer you try will be there the next time you go to Common Theory. If you’re looking to expand your suds palate, you can’t go wrong here. Balboa’s Tap House started with a simple goal -- to bring together the people of Clairemont. To date, it’s done that by following a bulletproof formula: offer a huge tap selection (32 to be precise), make delicious food, and host a slew of events like trivia night and live sporting events to get people in the door. If you want to have a beer and feel like you’re truly a part of a community, stop in. 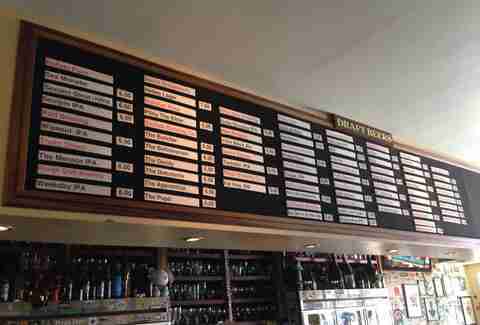 Toronado is included on basically everyone in San Diego’s “you need to try this beer bar” list, and for good reason. The place takes beer deadly seriously with a hefty 56 beers on tap, and may have the most knowledgeable staff in the city when it comes to introducing you to new brews. Ask for their advice and listen to what they tell you: you won’t regret it. O’Brien’s is just about the best place in the city to watch soccer, but it’s also a hell of a craft beer bar that stocks some of the hardest-to-find beers in the world like Chimay Bleue Grande Reserve as well as craft beer icons like Pliny the Elder. With 28 beers on tap and more than 100 by the bottle, you can really get experimental with your beer order while catching a match. The Regal Seagull and Beagle are the definition of neighborhood bars. These brother/sister bars have the best Wing Wednesday special you’ll find in town, as well as more than two dozen rotating beers on tap, frequent beer takeovers and brewing collaborations, and an awesome vibe. Spin the wheel o’beer to leave your drink selection up to chance (and maybe win a free pour), and talk with the bartenders -- they’ll treat you like family if you can hold a conversation. Tiger!Tiger! comes from the team behind Blind Lady and, like Blind Lady, has garnered a boatload of good press -- it’s also been named to Draft Magazine’s “100 Best Beer Bars in America” list and won SD City Beat’s “Best Sausage” award. Beyond its impressive beer list and award-winning charcuterie, however, Tiger!Tiger! puts on events like vinyl nights and poetry slams. It’s a wonderful beer bar with no pretense. Rob Pursell gets to drink beer and write about it and hey man, that's pretty cool. Follow him @robert_pursell.